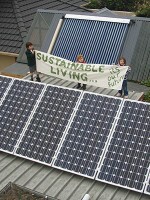 Help Renew make practical, positive change – all donations over $2 to the Renew’s Renewable Energy Development Fund are tax deductible. Investing in new ways of delivering information, with applications for mobile devices, e-publications, online discussion forums, member services and interactive web experiences. 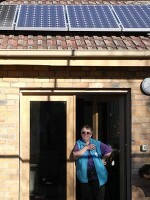 Continuing to advocate for sensible and appropriate government policies to support household and community sustainability. Renew is strategic and smart, stretching every dollar we receive as far as we can, but our impact to make change is entirely dependent on our resources. Make a one-off donation to Renew or become a regular supporter and enable us to continue our vital role in advocating for a more sustainable future. 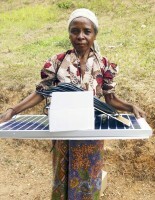 Help bring clean, renewable lighting to remote Timorese communities. 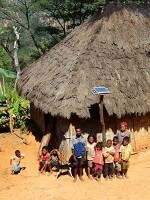 Timor-Leste is one of the poorest countries in our region. Only 20% of the population has access to mains electricity and communities in remote areas are not expected to have mains electricity for at least the next 15 years. 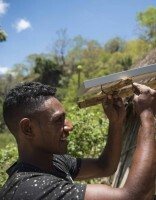 Since 2003, Renew volunteers have been traveling throughout Timor-Leste installing small, inexpensive solar power systems that provide lighting for thousands of households as well as community centres, orphanages, schools and hospitals. Click here for more info. 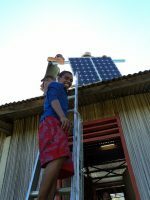 We need financial support from people like you to install and maintaing solar lighting in more communities in Timor-Leste.